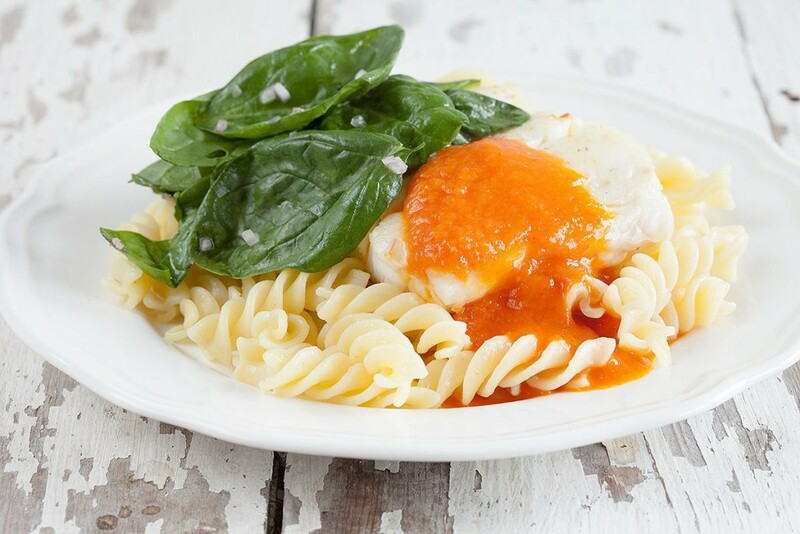 Cod with roasted red bell pepper sauce and pasta is a combination made in heaven. Also tips for a quick sauce! And.. the sauce is also suited for vegetarians.